You know that saying “When your nails are done, all is right in the world.” No? Oh well me neither! But that is honestly how I feel. If my fingernails are freshly painted and shining bright like a diamond then I feel like I can do anything. It may sound silly but how many times do people see your hands every day? Probably more than you think, so why not have a great looking manicure that you can do at the comfort of your own home and save tons of money. Step 1. Always start out with clean nails, remove any previous nail polish, then wash and dry your hands. My favorite Nail Polish Remover is Zoya Remove Plus Nail Polish Remover. Step 2. It is time to remove dry and dead cuticles. I use the J R Watkins Lavender Hand & Cuticle Salve and it literally melts away your cuticles in minutes. If you aren’t in a hurry (skip to the fourth step if you are) and really want to pamper yourself apply this on all of your cuticles, then put on Aloe Moisture Gloves , and sleep in them. You may look funny, but you will wake up with the softest hands ever. Step 3. 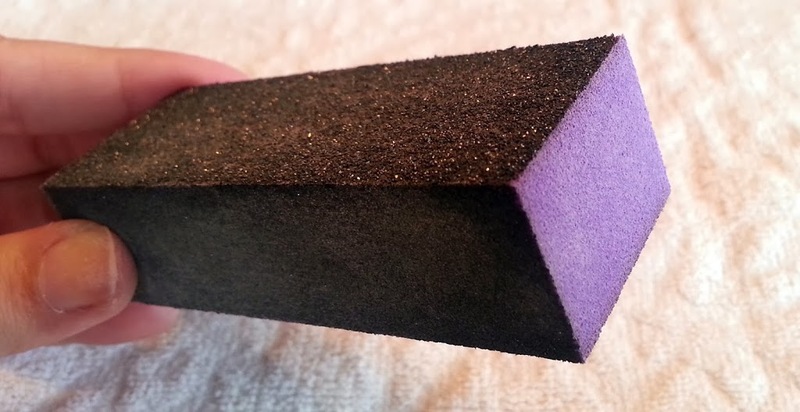 Buff each nail with a 4 sided nail buffer. I do this every other time I give myself a manicure. These are a really inexpensive tool that will help polish stay on much longer. You can find these on Amazon. Step 4. Now it is time to file each nail. This is also where you would cut your nails with clippers if you choose to do so, then file. I don’t cut my nails unless I have a broken nail, I file each nail into the shape and length I want by only going in one direction on the tip of the nail. If you go back and forth with the nail file you are most likely going to split the nail. 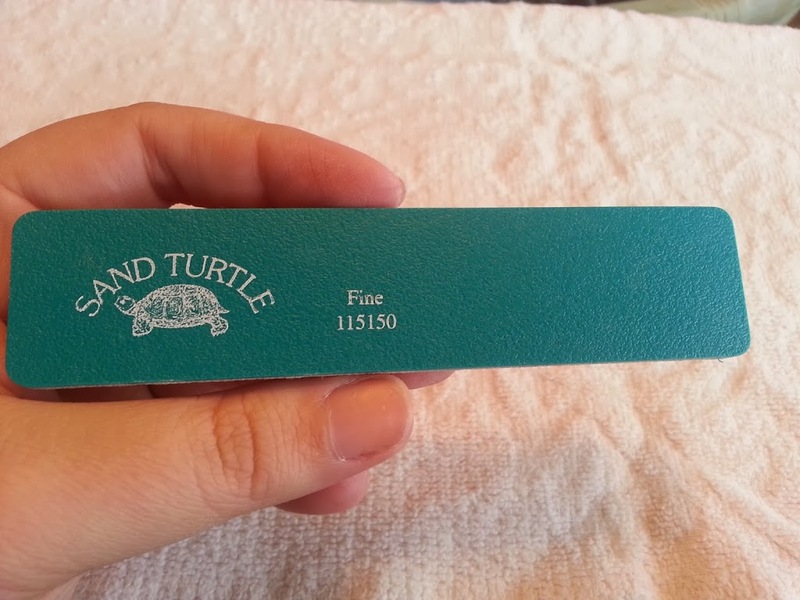 I use the Sand Turtle Fine File, this can be found at Sally’s Beauty Supply. Step 5. It’s time to paint your nails!! Apply a base coat before painting if you choose to do so, I typically don’t because my nail polish stays on just as good without one. You may want to use a base coat if you are using dark colors because they can turn your nails yellow. (Future Blog Post on how to remove yellow stains from nails coming soon). When painting my nails I paint one line right down the middle of the nail and then connect the other sides for a streak free coat. After I have painted all ten of my nails I go back around and do a second coat. You can paint as many coats as needed, but the more coats you put the longer it takes to dry and the faster they will chip. Step 6. This is my favorite part, the TOP COAT! The key to the perfect manicure is the top coat. If you don’t use a top coat the nails can look dull and unfinished. I’ve tried many different kinds of top coats but my favorites are the ones that dry super fast. We are all busy and nobody has time to sit around and let your nails dry forever, we get impatient then bump the nails creating smudges. 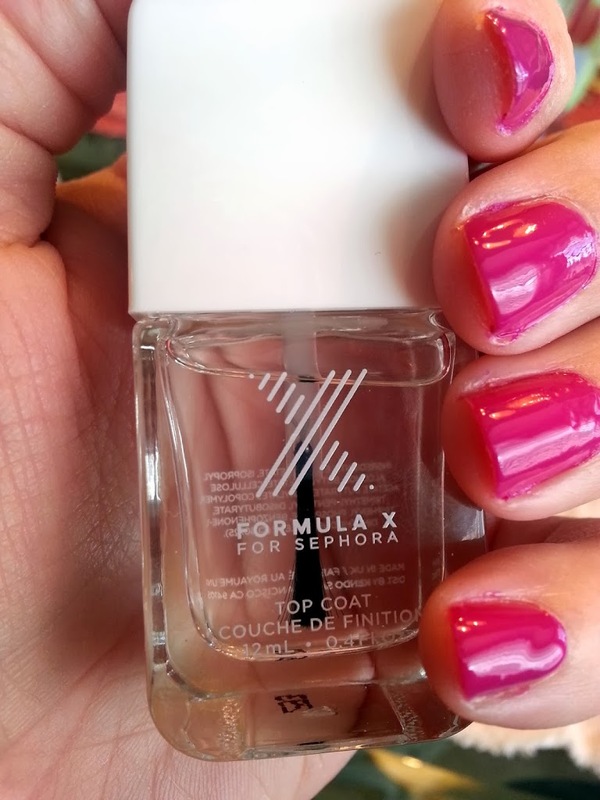 This Formula X for Sephora dries really fast to a shiny gel like finish, and they last a long time. Other helpful tips: If you accidentally get nail polish on the skin around your nails you can take a Q-tip or small brush and dip it into your nail polish remover, then go around the edges of your nails to clean up any mistakes. Also if you are in a big hurry run your freshly painted nails under really cold water for a few seconds and they will slightly dry, not enough to go digging around in your purse for your keys, but you get the point. I hope you were able to learn some new things about giving yourself a manicure! 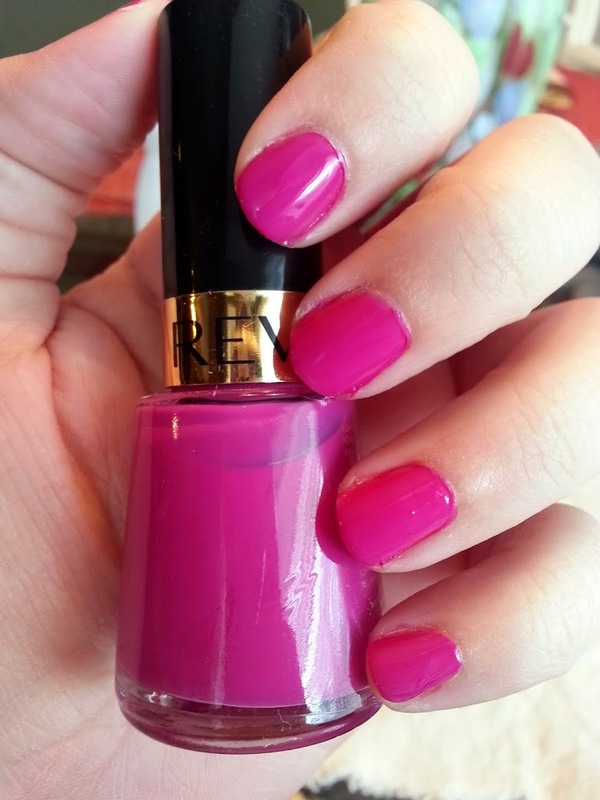 What is your favorite nail polish color in your collection? You are awesome! Your blog is my go-to for all things beauty. I love having my nails done, it makes me feel more put-together. I am going to need to pick up some of these products so I can use your manicure tips. Aww thank you so much!! 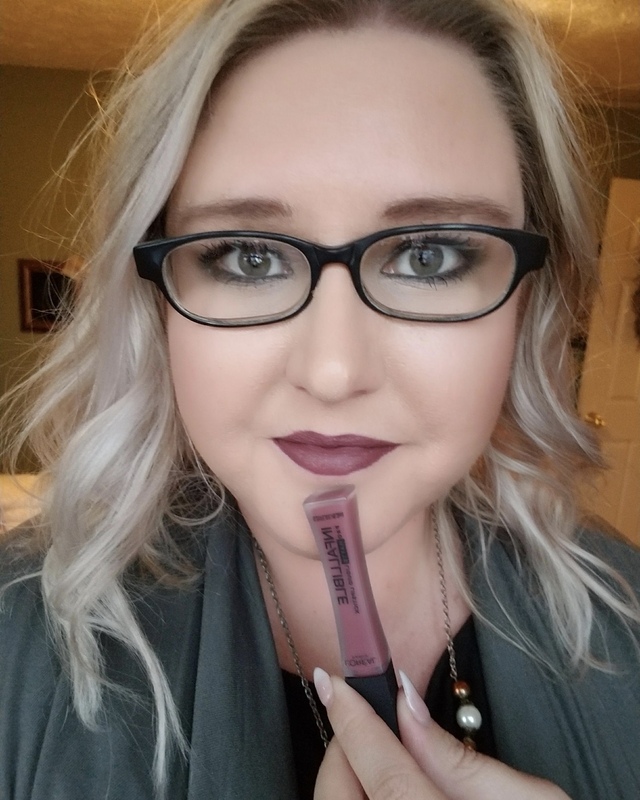 This was one of my first posts, I still use the same products! In fact I just bought more of the Zoya polish remover, it lasts forever! !